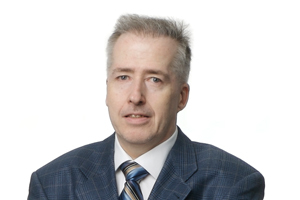 Stephen De Blois has extensive experience in many industries, particularly working with public sector clients (government departments), not-for-profit organizations, private companies, and organizations who receive funding from government sources. In addition, he works with clients who have interests in the United States and also leads Welch LLP’s Automotive Dealership Group and represents the firm in the US-based AutoCPA Group. Stephen DeBlois joined Welch LLP after graduating from Carleton University in 1973. He then went on to receive his CA designation in 1978, and became a Partner shortly after in 1981. Stephen received his Certified Public Accountant (CPA) designation in 1994. Organizer of the Welch LLP United Way Campaign; former treasurer of the Ottawa School of Art; former treasurer of the Glebe Centre. I am proud to be my son’s father and to have my CPA designation.